A spiritual jazz, ultra-rare Holy Grail from Abdullah Mudon Sami and New Yorks & Chicagos late 70s underground jazz scene, that has acquired mythical status. Originally self-released in 1978 by the artist in just 300 copies, its now been remastered and reissued for the first time on vinyl. 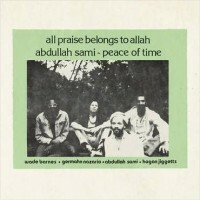 A high anticipated reissue amongst collectors, Peace of Time and the story of Mudon Abdullah Sami is the true stuff of legend.